Well . . . it seems as though spring has finally arrived here in Wisconsin. :-) We had a very long, cold winter this year. 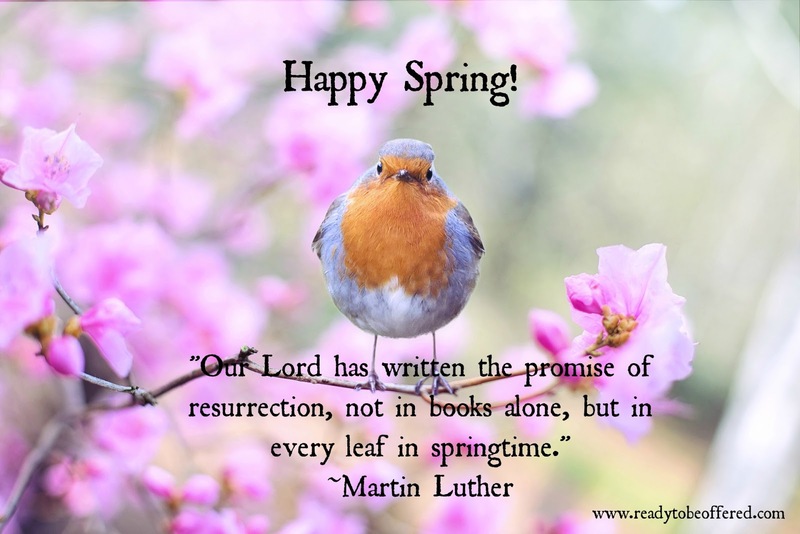 But I am again reminded of how the Lord refreshes and renews the earth; even after the harshest of winters--what a mighty and merciful God we serve! We took in a wounded pheasant this year. She had to stay inside during some of the coldest weeks of winter (we had a polar vortex this year with temperatures in the negatives and winds chills up to -50). Here she is below in her cozy house awaiting spring's arrival! :-) She was so excited that she has been laying eggs lately! :-) I've read that they are rich and high in protein, so maybe my husband will be getting an omelet ;-). 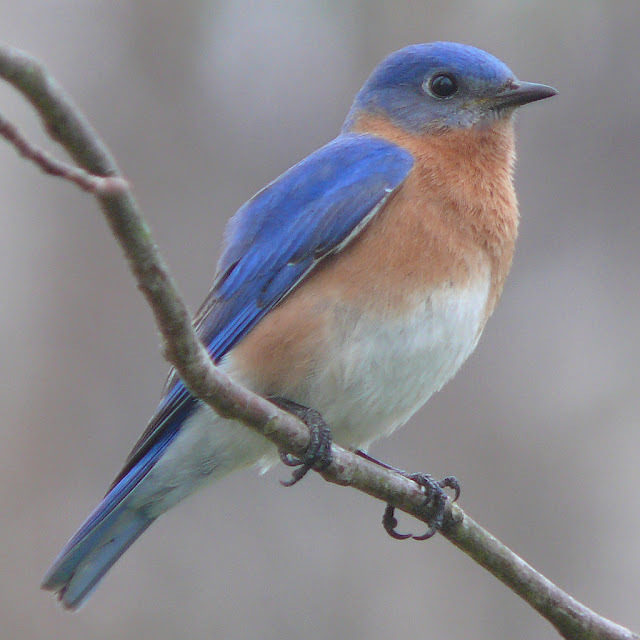 She is a sweet, sweet bird who talks back (in a good way! ;-)) with a kind of cooing noise when you go near her cage. It seems like we will be keeping her since her wing still hangs down a little and building her a bigger enclosure outside. She even has a male friend who comes to visit!! :-) He wears cologne and swaggers (haha; just kidding about the cologne :-)). Our geraniums came inside this fall and have been quietly sitting in the hallway upstairs. I love this reminder to me of life, even through the bleak days of winter. Soon, they can go back outside, too. This is the picture that my niece drew for our ministry newsletter :-). For those of you who aren't familiar with our ministry or why we came here to Wisconsin, you can read more about it HERE. Our home in the snow . . .
One of our rabbits climbed into the hay bin while I was cleaning out her cage. :-) We'll be building an enclosure for her and her sister outside soon, too . . . The arrival of spring means that I can burn again! :-) Hopefully, I won't accidentally burn our field down again like I did last year . . . haha; I seem to have a proclivity for doing these kinds of things!! My 10-year-old nephew is always helping me in different ways outside; here he is chopping a tree limb that fell this past winter . . . :-) He and my niece are such a blessing to me . . .
A sweet deer in the field across from our home . . .
And here are a couple recommendations of things that I've/we've been enjoying lately--my husband gave me this CD for Valentine's Day this past February. Those of you who know me well know that one of my favorite movies is a Christian film called Old Fashioned (you can read my review for that film HERE). The CD --oh; I love it! It so perfectly compliments the film and was such a precious gift. If you have never seen Old Fashioned and would like to, you may find it HERE on Amazon. It is truly a beautiful film that speaks to the heart . . . I can't recommend it highly enough . 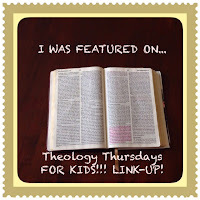 . .
And here are two devotionals that my kids and I have been enjoying; oh--I love these! I highly recommend Kenneth N. Taylor's devotionals for kids--they are simply written without detracting from the Biblical message and the illustrations are wonderful! I also recommend this devotional from Rod and Staff. It is a great devotional for young children (you can find it through a company called Milestone Books). And there you have it--an update and some recommendations! Again, please feel free to join the mailing list for our prayer letter for our ministry. I've also started a Facebook group for our ministry and you can join that by clicking HERE and asking to join. I would love to have you and am so grateful for your prayers! The Lord bless you, each and every one! It's no secret; I love Valentine's Day. It's a holiday that brings back so many nostalgic, wonderful memories for me from my childhood and just sweetens the wintry month of February with its warmth. This year, I am giving away a couple of wonderful resources and some other fun items (pictured below :-)) . . . This is a copy of my precious sister's novel about missionary David Brainerd and Jonathan Edward's daughter, Jerusha. This book will bless and feed your soul. It is a beautiful, fictional re-telling of these real characters in history combining fiction with a great detail of carefully researched historical fact. It is a beautiful, poignant love story that is both challenging and encouraging. You can read my review of A Holy Passion HERE. Old Fashioned is one of my favorite films. It's a movie that has just deeply touched my heart and I love to share its message with others. I watch this film over and over again (and this is from a person who doesn't watch a lot of movies because I have young children! :-)). If you have never seen Old Fashioned, please read my review HERE. It's a film that will just leave your spirit so full. It's not your typical Christian movie--Old Fashioned is a gritty, sensitive love story with so much depth and artistry and above all else, that points to Christ Jesus. Oh, the Russell Stover chocolate heart. 😋So many fond memories of this Valentine's "staple" that reminds me of my childhood. My Mom and Dad would always give each of my sisters and I one of these on Valentine's Day. We looked forward to this so much and savored every chocolate it contained (except the jelly-filled one--I didn't like that one as a child! :-)). I am finding more and more that it is a really wonderful company to work for. 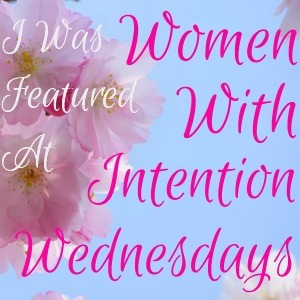 I have already been connected with many other Christian sisters who also sell Lilla Rose as well as been introduced in a greater way to the many beautiful and useful products that Lilla Rose offers. 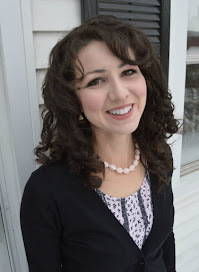 When I signed up for Lilla Rose, they gave me my own website URL and sent me their starter kit. 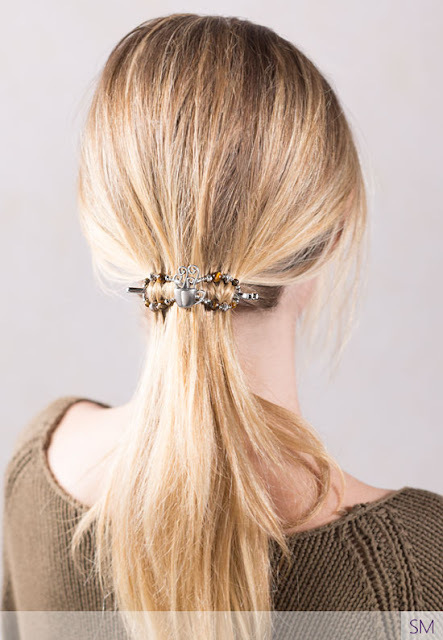 This kit alone contained over a dozen beautiful hair accessories, such as the one below! It also contains business cards, a purple drop cloth useful for displays, pamphlets and other information that could be passed out to customers or prospective customers, as well as as other really useful selling tools! The starter kit itself was a treat to open! As I have been delving into learning about these products and connecting with other people who sell Lilla Rose, I have been impressed by the quality of these clips and accessories as well as very blessed to be able to ask questions through Facebook groups and of my group's leader and receive detailed, really helpful answers very quickly. It is truly a great company to work for; I now understand why many stay-at-home Moms choose Lilla Rose and really benefit from it. 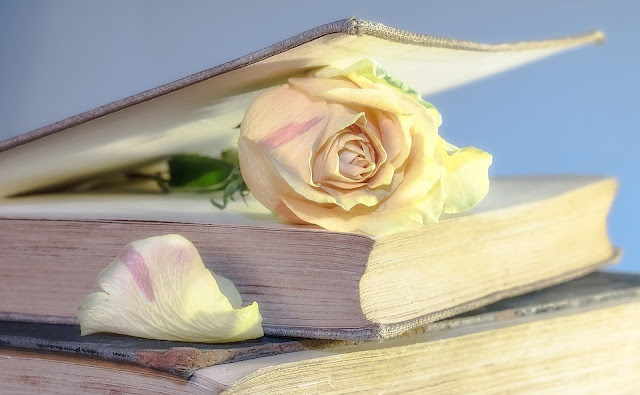 After I joined Lilla Rose, I set up a Facebook group for anyone who wants to join to learn more about Lilla Rose and to be in involved in giveaways, etc. :-) If you would like to be a part of this group, please click on this link or on the picture below to join and I will add you to the group! 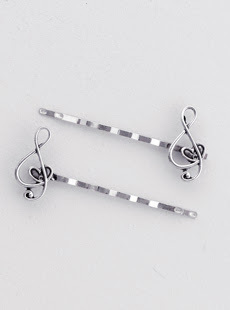 I love these bobby pins as well! Lilla Rose sells such a wonderful variety of items! 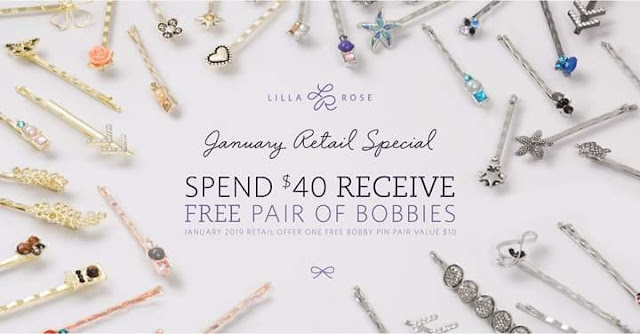 This month, Lilla Rose is also running a great sale that if you spend $40 or over, you receive a free pair of bobbies. They have some really cute ones right now!! 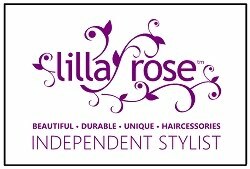 And finally, if anyone is curious about becoming a Lilla Rose stylist, please feel free to ask me any questions! I would love to answer them! If you are genuinely interested, please let me know either through messaging me on the side of this blog or commenting below. 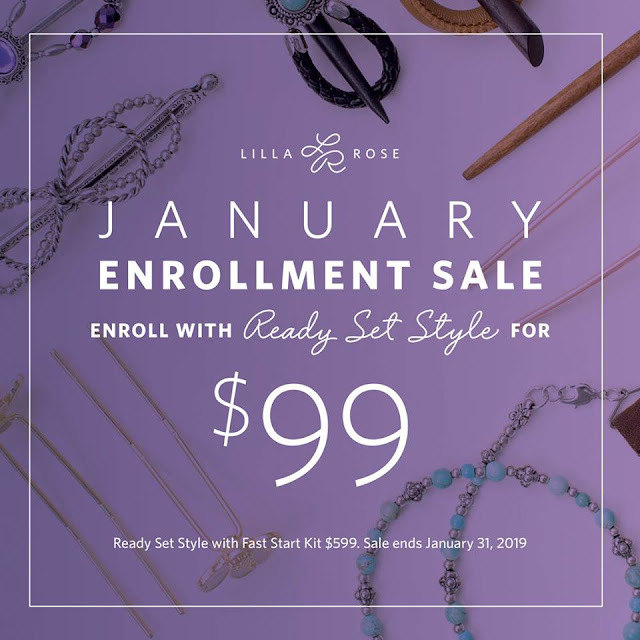 This is a fun, easy business that is great for some people and Lilla Rose is offering a great start-up price this month. I love this quote from one of my favorite stories, Anne of Green Gables, "Tomorrow is always fresh with no mistakes in it." Anne's schoolteacher reminds her of this truth to which Anne determinedly repeats her teacher's words. The older woman, Miss Stacey, then adds a word at the end of her previous quote--" no mistakes in it yet." I found myself at the beginning of this year reflecting on some of the truths that the Lord has been teaching me over the past year and looking forward into the future with both hope and trepidation. As Gandalf tells Frodo in The Lord of the Rings, "It's a dangerous business, Frodo, going out your door. You step onto the Road and if you don't keep your feet, there's no knowing where you might be swept off to." I listened to a Fox newscaster interview several individuals on New Year's Eve and ask them what lessons they took away from the past year. The responses actually saddened me, as I realized afresh how lost and dying this world that we live in truly is without Jesus Christ. The theme that reverberated through most people's answers was, "I want to love myself more, appreciate myself, forgive myself." Without Christ, the focus and direction of our lives is turned upon ourselves--and what a sad place that is to end! Christ Jesus turns our direction and focus outward--toward Him--and then applies that knowledge of Himself to every area of our lives--the inward parts and then also in our dealings with fellow men. Perhaps this year, the Lord will use our lives to point other lives to Himself--to change the sad, inward focus of mankind and to offer the hope and joy of salvation to a lost and dying humanity. When we learn to let go of our own plans and perceptions and self-focus, Christ exchanges these things for the joy that is life-giving and that brings order and peace and strength into our lives that would otherwise be chaotic and restricting in terms of our ability to be used for Him. Pressing On~ This is another area that I sense the Lord is continually placing before me. With my children, in areas of discipline and obedience in my life, in terms of embracing wholeheartedly what He has called me to do, and with making sure that the focus of my life continually is Christ and Him crucified--these are the areas that I need to press on in my daily walk with the Savior who poured out His life for me. Decreasing~ This has been a huge lesson that I've been confronted with and that each of us is confronted with on a daily basis as followers of Christ. This lesson hit home to me in a very real way this year when I knew that the Lord wanted me to give something up that I desired fervently. The Lord spoke to me specifically through this verse as I relinquished a dear hope into His hands. He fulfills the desires of our hearts, but at times, He also teaches us that something that we desire (even a very good thing) may not be His will for us individually and specifically. We see this in David's life when he desired a good thing--to build a temple for the Lord--but it was not for him to do. 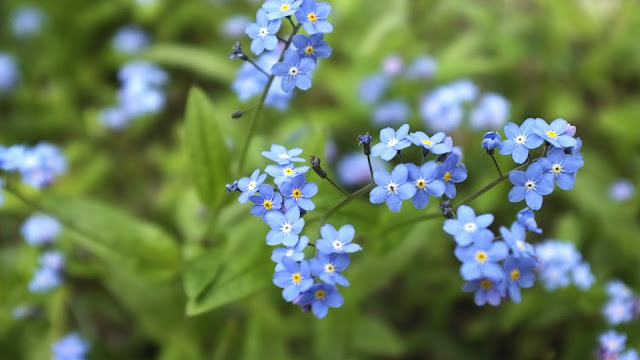 (II Samuel 7:1-17) The letting go is painful and hard, but the blossom is glorious and sweet and brings honor to the One who is Greater. Bringing Glory to Christ~This is the final lesson that I want to bring into the New Year. It is so easy to get caught up in the trivial, in the worries and cares of this life, that our focus can shift from the Glorious to the superficial and empty. When we keep our focus upon Christ and His glory, sincerely, not just in word but from the heart, we honor Him. And those who honor Him, He will honor. It is my heart's prayer and desire to hear those precious words at the end of my life--"Well done, good and faithful servant. Enter into the joy of your Lord." (Matthew 24:21) May this be the prayer of each of our hearts! Last week, I shared some ideas with you about involving children in corporate worship. You can read that post HERE. 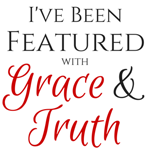 This is still an area that I am learning and growing in and so I appreciated the positive feedback from that post; I'm thankful to the Lord that it was an encouragement to many of you. I mentioned in that previous blog post that I was going to move on to discuss ways to train our children in worshiping the Lord in our homes. But before I do that, I wanted to take a quick detour. I felt that the Lord brought this to my heart, and I wanted to share it with you all. There are times that despite our best intentions and efforts, our kids don't cooperate. To put it frankly, they don't want to worship. And there are times, to put it frankly again, that it's not a problem with our kids, but with ourselves--with our own attitudes, lack of obedience to the Lord, failure to realize something that the Lord is showing us--and this is reflected in the attitudes/reactions of our children. We are sinners. Our kids are sinners. We are all in need of help from a merciful Savior. We need Him to teach us how to worship. We need Him to change us, to adjust our attitudes and habits, to teach us and to reveal new attitudes and habits to us. 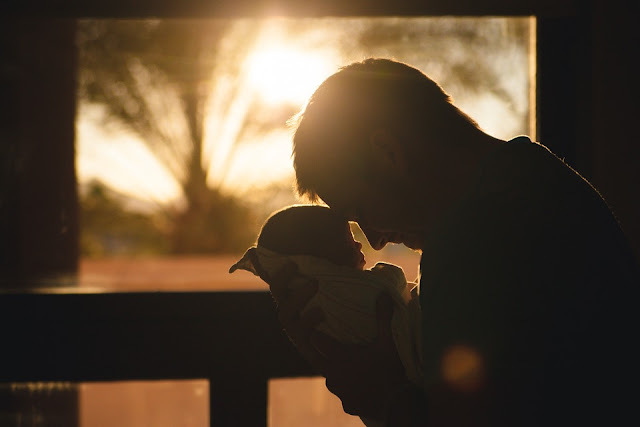 We need Him to show us how to daily lead our children through our actions in sometimes quiet, sometimes more visible or audible worship of Him. But we struggle with this as sinners. Other attitudes and actions come in--attitudes not born of His Spirit. We get busy and tired. We replace worship with other things and place the Lord on the "back burner" of our lives. This is so easy to do. And sometimes as believers we leave it right there. We are sinners; our kids are sinners--oh well; we'll never "get it right" here on this earth so why put in such an effort? Just let things flow; just go with it--it will all work itself out in the end. Or there is the attitude of "messy grace" which is so prevalent in the church today. I have no problem with the concept itself--but I do think that we need to start taking the grace and cleaning up the mess! Our kids are naughty--our kids are not naturally worshipers, they are sinners like us; ok--don't ultimately laugh it off, don't take it lightly--deal with it by the grace of God so that our lives and the lives of our family may bring greater glory to Him. Admit your mistakes; admit your shortcomings and come before the throne of grace to ask for help from the Lord in how we raise our children. Fast and pray. Take Him seriously in daily life. Ask for wisdom and direction and He will give it to you. He promises that in His Word. Pray with your kids; pray with them daily. Deal with the "issues." Take the grace of God in your daily life with your kids. In other words, put the "grace" back into the "messy." I am speaking to myself. If we want, truly want our kids to worship God aright, in spirit and in truth, then we must set the example. Do our kids see us on our knees? Do they see us taking God seriously, making sacrifices for the kingdom, putting Him first in our lives? Do they see that we value worship? Do they see that we care about the things of God? If our spouse is a believer, do they see their parents praying together and depending upon the Lord for the daily needs of the family? These are all important questions to ask and if we are honest with ourselves, we all fall short in many of these areas. We all could grow and change and make a greater impact upon our children for the glory of God. I know that I could. By the grace of God. I have a little sign in my house that I asked someone to make for me (thanks, Sara :-))--it says simply "Spend and be Spent." I wanted a reminder that my life is not to be used up for myself, to please myself, but to be used up for God--to be poured out for God--not for myself. I need this constant reminder. I am a sinner; my kids are sinners--we continually depend upon the grace of Almighty God. Everyday I face challenges with my children--and with my own ambivalence, or disobedience, or ignorance in some area that the Lord wants to reveal to me as I cry out to Him in my weakness. It is good to recognize our weakness so that we can lay hold of the great strength that is offered to us in our merciful Savior. When we do this, it gives Him the opportunity to pour His mercy out upon us as we teach ourselves and our children to worship Him aright--in spirit and in truth. As we establish these habits and patterns and seek to pursue the Lord as a family in daily worshiping our God, the key is--never give up. Through the grace of God, never give up and like Jacob, God will bless you and your family. Seek to worship God as a family; seek to put Him first in all that you do and your lives as a family will become a living fountain. Not a perfect example of holiness, but a refreshment to those around you. Admit your shortcomings and move on to embrace the grace of God and to grow and change in the areas that He would have you grow in your worship of Him. I faced a situation last year which is somewhat funny (in a terrible way ;-)) in retrospect but which taught me a lesson that I could not have learned any other way--a lesson involving high heels. It was Christmas Eve. At our church we have a Christmas Eve Service. For those of you who attend these services, you know that they are usually quiet and reflective. My 3-year-old son was in a surly mood. Obviously, he had not yet caught the holiday spirit. Or perhaps he was re-enacting the part of Ebenezer Scrooge in a Christmas Carol--the live version ;-). My husband and I have been training our kids to sit quietly in church since they were babies. But my strong-willed son would have none of it on this particularly reverent night of nights. He couldn't have challenged me on a sunny Sunday morning; it had to be performed on the evening when the sanctuary was full and there were visiting churches joining us for worship, when the lights were lowered and all was supposedly calm and peaceful. We had just finished singing a hymn (or maybe it was the prayer--I cannot remember--or maybe it is because I have been trying so hard not to ;-)). My son was fidgety and I asked him to sit on my lap where I thought that I could better deal with him and his wiles. No, he told me in a cheeky manner and I insisted, picking the little stinker up to sit on my lap. The end result was humiliation. No! No! No! 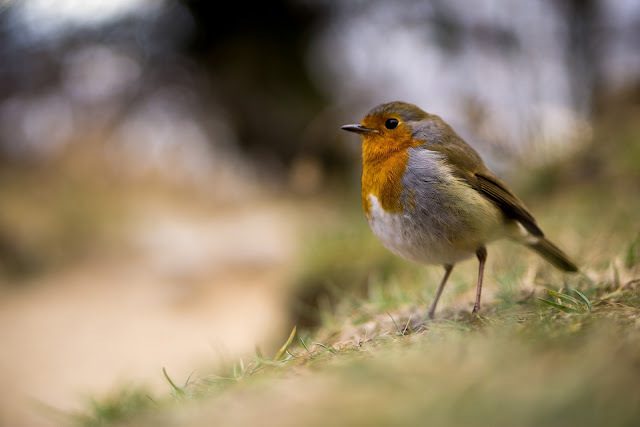 He loudly yelled (I think that that is the appropriate word) just as there was complete silence in the sanctuary. So I scooped him up still squawking No! and proceeded to trip over one of the folding chairs that was set up for extra guests who attended the service. 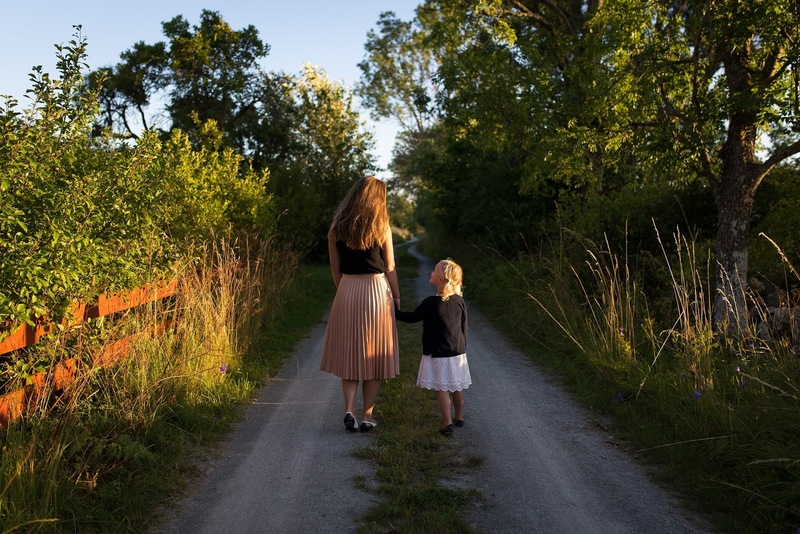 Red-faced, I brought my child out of the sanctuary and vowed never, never to wear high heels to church again with young children. I quickly disciplined my son and brought him back into that sanctuary, even though I wished to run back home to Rhode Island. I also took my heels off and went barefoot the rest of the evening. I knew that the battle would be lost if I kept him out of the service for bad behavior. Later on I lamented to my Mom about the whole, terrible embarrassing ordeal (she had witnessed it, by the way--thankfully she was still willing to be associated with us ;-) standing with me in the foyer over a Christmas cookie that I think that I ate out of depression ;-). I can't remember her exact words, but she encouraged me so much over that incident. My Mom is not one to beat around the bush or just to say what someone wants to hear--she tells you the truth gently, whether you like it not--it's what I love about my Mom even though sometimes initially I balk at it. My Mom told me, "Bekki; you dealt with it (the disobedience)--that is the important thing. If you hadn't, that would have been much worse-- a lot of people would have just allowed the child to disobey--you removed him and didn't give him his way." Then she added, with her usual humor--"but did you have to choose the Christmas Eve Service to deal with it?" My older sister, also a comedian, ;-) asked me later, "didn't you know enough to put your hand over his mouth? That's the first thing you do!" I think that she was counseling me to try it the next time--I was hoping that there wouldn't be a next time!! And even if I had thought of this I suppose that it would have been impossible as I was using both hands to steady myself after tripping over the chair with a husky three-year-old in arms. The point of the story is this. Kids are sinners. We are sinners--things like this happen when we are trying to worship--when we are trying to teach our children to worship. The key is not to ignore the bad behavior, or to try to cover it up, but to deal with it, by God's grace. 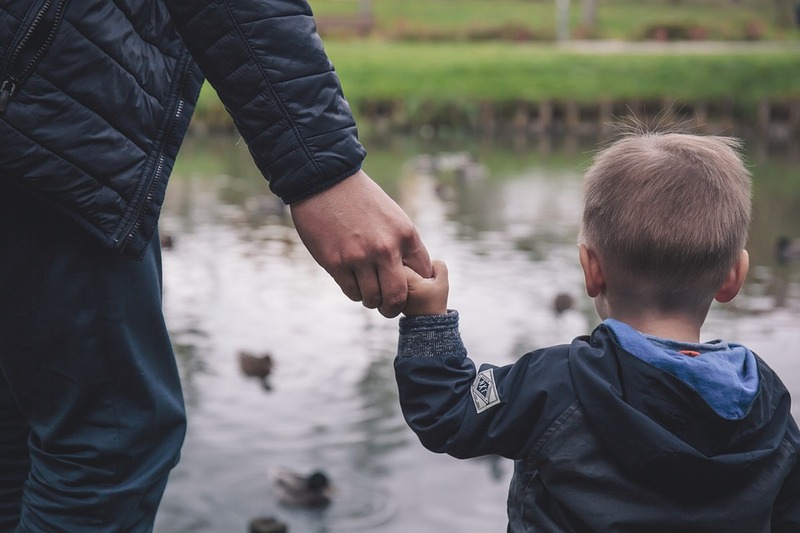 There were things that I needed to learn about being firmer in my discipline --there were things that my son needed to learn about obedience. We are both sinners. No one wants attention drawn to themselves--no one wants to be the one who looks like they have a strong-willed non-compliant child. But I'll tell you one thing--I admire the mothers who deal with the behavioral issues swiftly rather than ignoring them. I want to be more like that --in a loving way, of course, and with the discernment and the direction of the Holy Spirit. We have been working on this all year, and though my son will still challenge me at times, we seldom have any dramatic episodes. 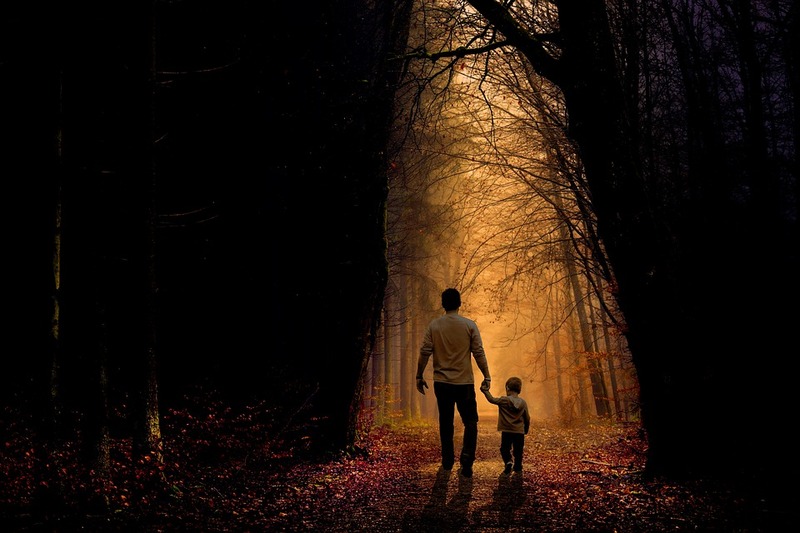 We are learning to worship together--two sinners, under the cross of Jesus Christ--my little son and I--the strong-willed little boy who loves to sing hymns and to dress up in a tie like his Dad and reveres the men who bring the tithe up to the front of the sanctuary. How I love my son --my fiery little Elisha--I love him enough to discipline him, to teach him through action and example, how to worship, how to obey his parents, how to love the Lord with all of his stubborn little heart. We are learning to worship. We are not perfect families; we are sinners saved by grace pressing toward the goal. We have a high calling; we have a job to do as parents. To teach little sinners to worship--and to worship aright ourselves. May we do it with the grace that God supplies. Reading about Susannah Wesley and the way that she ran her home has always inspired me and challenged me. To be honest, it has awed me. 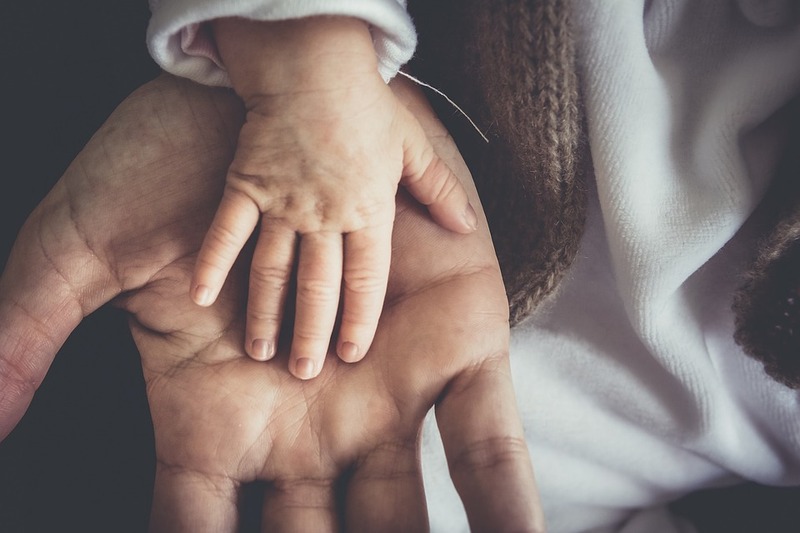 I believe that the Lord at certain times in history places His hand upon parents in a special way. He does this when He is preparing to use their children in a great work of His hand. We see this in the lives of Moses' parents; we see it in the life of Susannah Wesley, the mother of the great evangelist John Wesley and his brother-hymnwriter Charles. The other day, I read a story about Susannah that pertained to the way that she raised her children. It really encouraged me and spurred me on to press on with my little ones. We all have to admit that though there are many joys in bringing children up, there are also challenges and discouragement that comes along with the territory. We are not raising robots; we are raising fellow sinners saved by grace with wills sometimes as strong as iron. We have need of perseverance and I love how this story involving Susannah and one of her children speaks to this aspect of parenting. She was teaching one of her young children a piece of information in one of their lessons and her husband was listening. 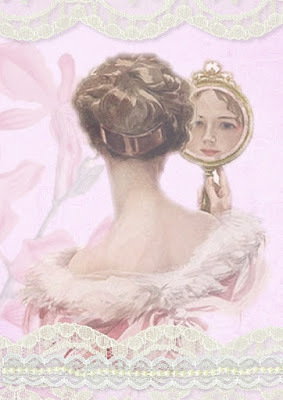 She repeated the same lesson over and over again and her husband interrupted her to say, "I wonder at your patience. You have told that child the same thing twenty times." She answered him with these words: "If I had satisfied myself in mentioning it only 19 times, I should have lost all my labor. It was the twentieth time when the lesson was finally learned." We have an opportunity as parents to lovingly and patiently impress lessons upon our child's hearts. They are listening. God has given us authority over them--but only for a short time. We have an opportunity by the grace of God, to be "unusual" parents--the kind that teach the lesson twenty times. 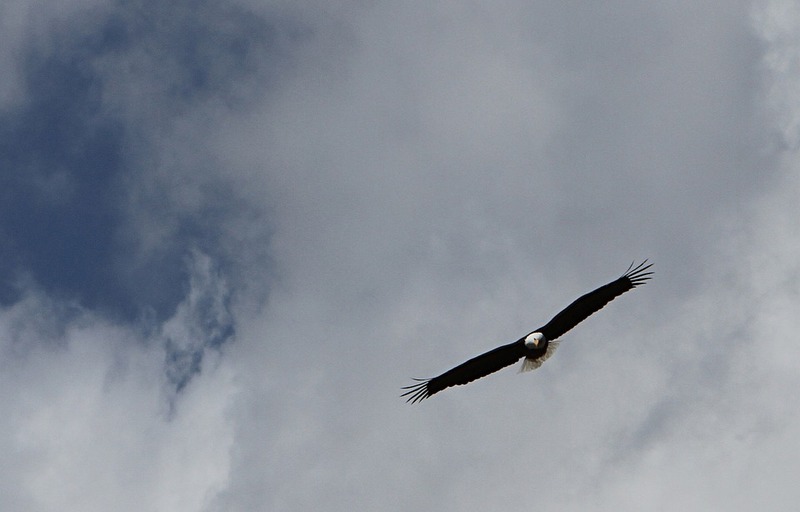 God will reward us for our diligence and give us the strength that we don't have in our own flesh. One of these areas is teaching our children to worship. I believe that this is an area that is vital in encouraging children toward having a heart that loves and reveres our great God. Teaching our children to worship at home and in church is a tremendous part of their understanding of who God is and of how He impacts and relates to them--and what response this should illicit from them. This week, I've compiled some idea for encouraging children to worship in the house of God. Next week, I'll share some ideas for encouraging children to worship God in our homes. I pray that these would be an encouragement and I would love to hear your ideas as well! Talk to children about church during the week; encourage children to be excited about going to church. Talk about how wonderful it is to be able to go into God's house and to meet with God's people. Prepare clothing, bags, anything else that is needed beforehand so that the morning isn't chaotic and rushed. 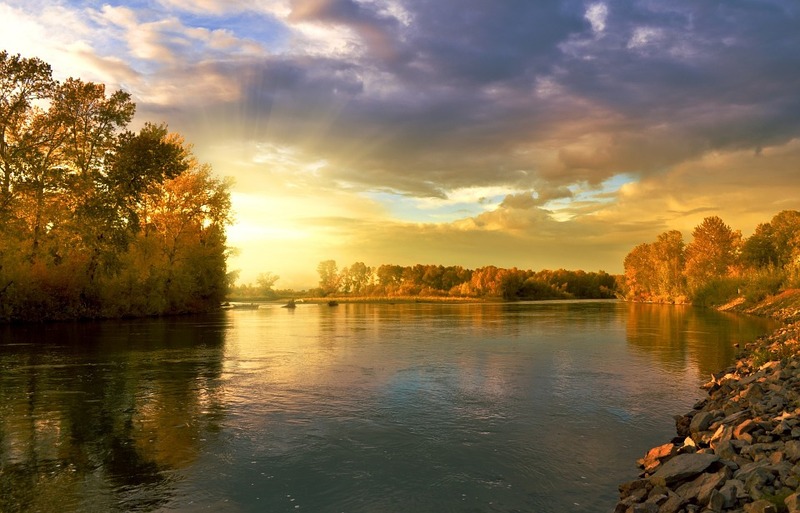 Play hymns/quiet music in the morning before going to church. Encourage a quiet atmosphere in the home that will be helpful in encouraging young, active children to sit still in church. "Play" church at home. My kids love this! They will "act out" the service and play the different roles of Pastor, song leader, etc. It prepares their little hearts for "real" worship and sets the stage for participating in "real" church. Talk about people who attend your church in a positive way during the week. Talk about how we are excited to see them, etc., and how good it is to be able to worship with the people of God. Encourage children and set an example of wearing our "best" to church (something special, according to your convictions). Iron it and prepare it ahead of time. Let your children see you do this. From when children are very small, teach them to regard the sanctuary of the church as a special place to meet with God in worship. Encourage children not to run or shout in the sanctuary. Speak quietly as you enter the sanctuary and demonstrate a quiet, reverent attitude for your children. Children should speak quietly in the sanctuary as the family sits down and settles into their pew; help children to practice this. Talk quietly to a child about each aspect of the service (without distracting those around you). Direct them to focus on what is taking place in the service. 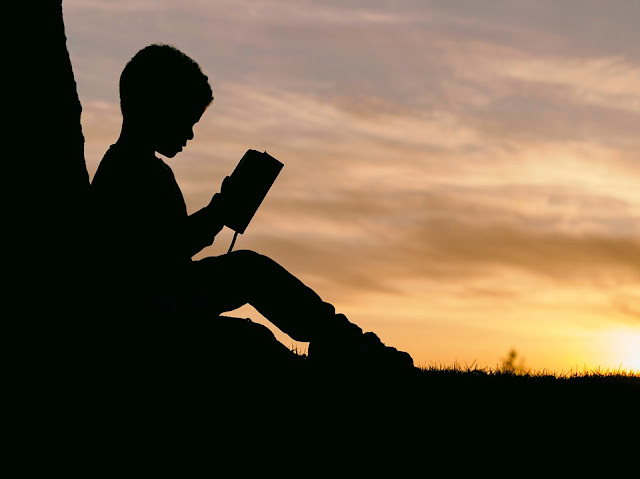 Let children hold a hymnal; encourage them to follow along and to sing the hymns and if they are not able to read yet, to hum the tunes of the hymns! Let children bring an offering or hold the family's offering and let them put it into the plate as it is passed around. Point out the different leaders in the church. Encourage children to listen to the speaker as they bring the Word. Demonstrate an attitude of serving/helping at various functions that the church holds. Encourage children to come alongside in helping at these functions rather than always allowing them to play while the adults work. At times we wish that we could listen to the sermon/be able to worship ourselves without distraction. Remember that children are only little once--for a very small window of time. Cherish this time of training your children in church while they are young--this season will soon pass, and you'll probably wish that you could have it back! Remember our Lord's admonition to Peter to "feed (His) sheep." What a blessing and a privilege it is for us as parents to train these little ones in the ways of the Lord! Be thankful for the little souls next to you in the pew and enjoy watching them worship as little children. They can actually teach us a lot about true worship. Of course, many of these ideas will look different at different ages/stages of a child's life . . . the goal is not perfection, but purpose. Are we purposing in our hearts as parents to teach our children how to reverently worship the Lord? Or are we distracted or distanced from our children? It may also look different for different families--some families have one child; some have 7; obviously the dynamic in the pew might change according to the number of children a person has. Family situations are different. Some people face parenting alone as a single parent or as the partner of an unbelieving spouse. They are trying to parent alone. God gives grace in every situation. Lay hold of His promises and obey Him to the best of your ability and He will bless you. Above all, press on . . . some weeks may bring discouragement. Children misbehave. Parents get tired and frazzled, but press on. The Lord will reward your efforts with your children and give you fruit as you seek to honor Him in raising up your little ones to know and to love the Lord. He will bless you. Do you want children who love and serve the Lord as they grow older? Is that the desire of your heart? Press into His ways and He will bless you--we will never train our children perfectly, but the Lord knows the intent and desire of the heart. Do your best and don't quit. I was listening to a sermon from Pastor Charles Stanley the other day that really spoke to me in regards to my children. He was talking about prayer, but this applies to any aspect of our walk with the Lord. Stanley said, "Just beyond where we stop is God's very choice blessing. When you want to stop, DON'T STOP." Train your children to worship. Help them, guide them, direct them. Children need and crave direction. Enjoy them; enjoy this season in your life. And above all, don't stop.